These 12" wide baskets fit perfectly in Penco basket racks. Perforated front provides ventilation while ensuring that contents are not visible. The open construction of these baskets provides air circulation in all directions, minimizing odors while keeping possessions organized. 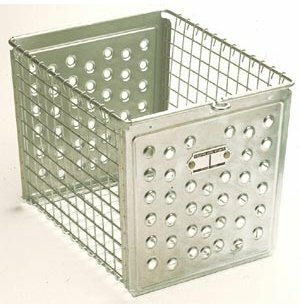 Steel wire mesh sides and bottom make these basket racks durable and functional. Private: Perforated front prevents contents from being viewed. 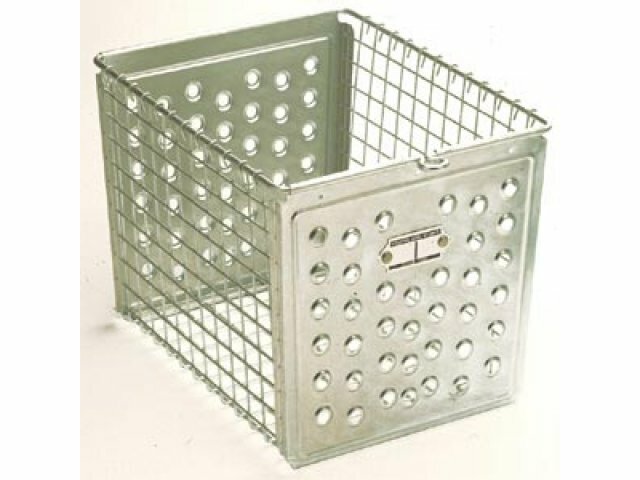 Durable: Steel wire mesh stays strong through years of repeated use.